Sarah and Gonzo with a trout from our pond. 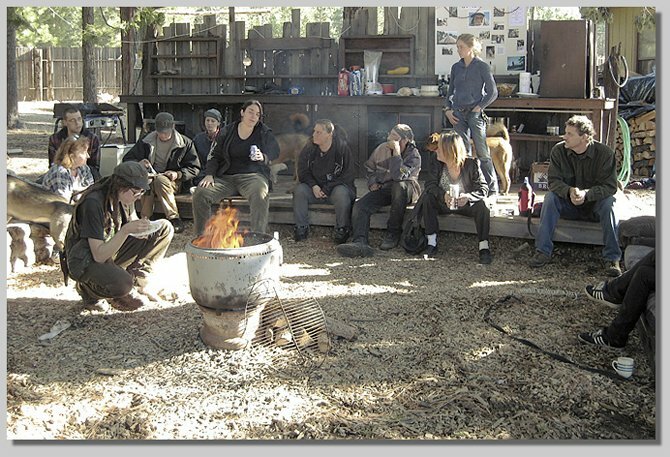 Memorial gathering for Gonzo, November 15th. 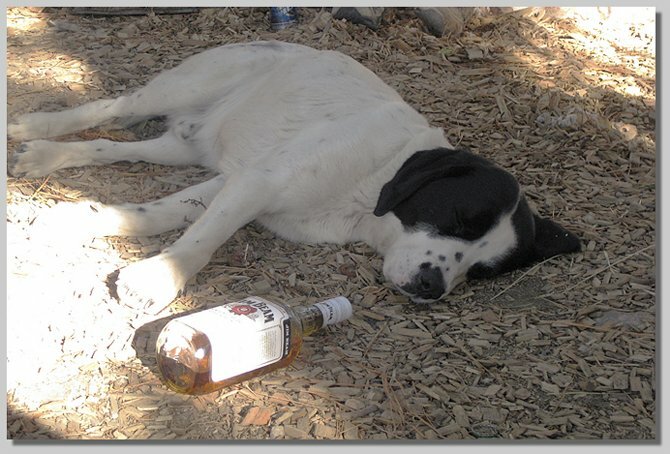 Overcome with emotion (and Jim Beam), Snoopy takes a much-deserved nap. 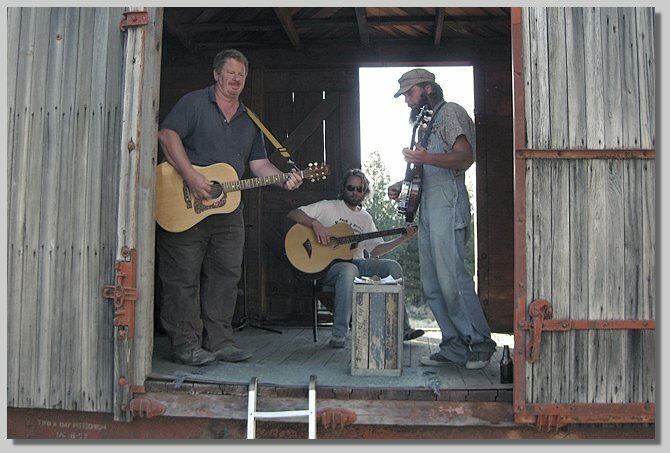 Weed-based band "Fat Sack of Bluegrass" playing at our Boxcar Warming Party fundraiser in October. 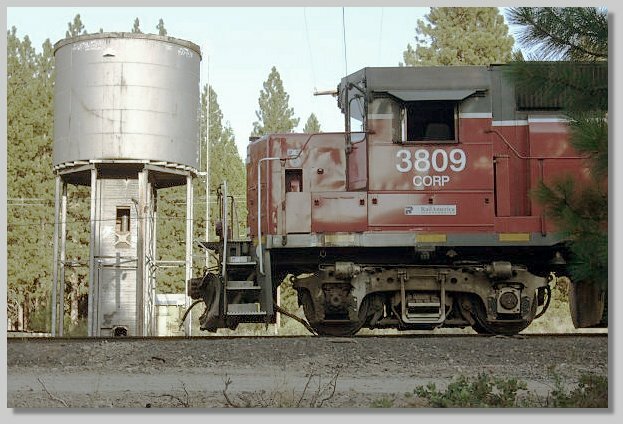 As our national depression grew in severity during 2008, the number of trains passing by Black Butte on the UP mainline decreased noticeably. 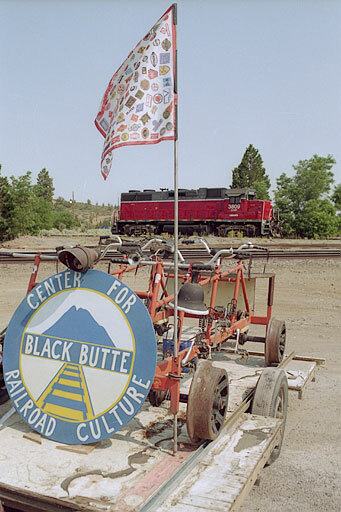 BBCRC members took our six-person railbike out for a rubber-tire spin for the Weed Carnivale on July 12th. 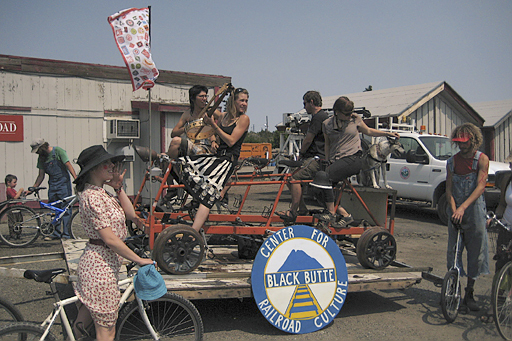 Together with our partners, the Weed Arts Council, we won second place in the parade competition! 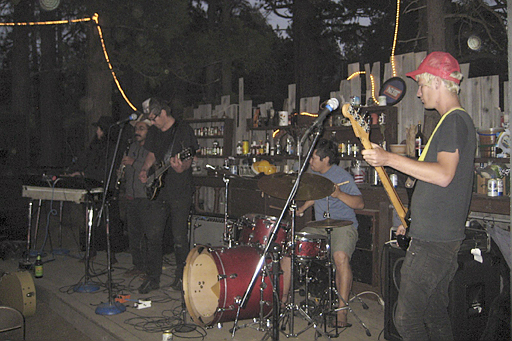 We hosted Mexico City-based "gypsy punk" band POLKA MADRE for a show at Black Butte on June 24th. 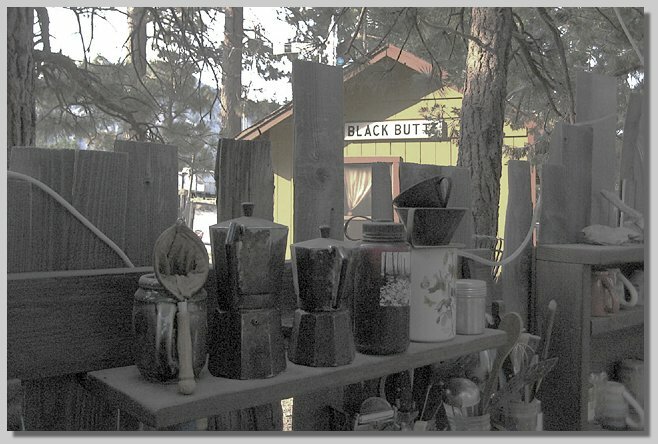 The show was well attended, both by out of towners and local people from Weed, Mt. 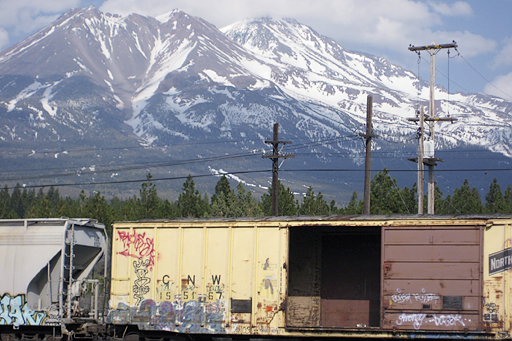 Shasta and Dunsmuir. 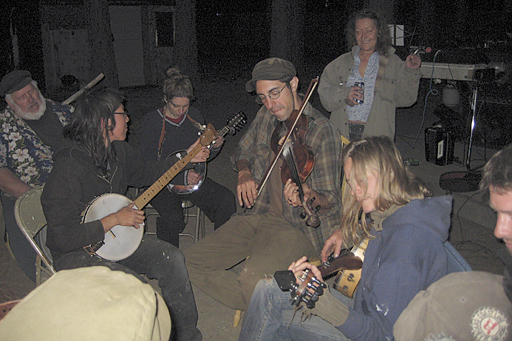 We've been hosting a regular summertime Tuesday night jam at Black Butte with our visiting friends, members of the Weed Arts Council and other local musicians. CORP switching outside our front door.